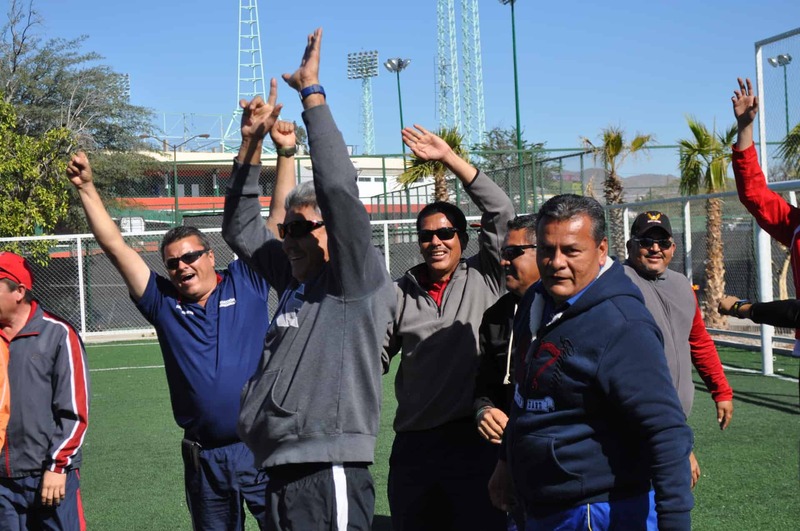 CAC SDL coach Turner Humphries blogs from Hermosillo, Mexico as we begin a partnership with FESAC. Admittedly, my Spanish has yet to reach fluent levels, but from what I could gather it seemed like one of the participants was asking me a great deal about the type of football played North of the border. He went on to ask me where all my equipment was? Didn’t I need a helmet and shoulder pads? Attempting to ease his worries, I pointed to the box of One World Futbols. “We only need those,” I said. A look of pure relief swept over his face, surely glad that I hadn’t arrived in Hermosillo to conduct linebacker training. For our week in Hermosillo, Mexico we would be working with FESAC, an organization that works to link groups within the community together to create spaces for sustainable development and the Department of Education and Culture. With us on the field were over 100 physical education teachers from primary and secondary schools. While most of the participants were experiencing sport for social impact for the first time, they brought with them a creative spirit that meshed perfectly with Coaches Across Continents’ mantra of ‘solve your problem.’ On our final day together the participants were divided into two groups to conduct coach-backs. As the coaches made their way to field, we saw more than just their customary coffee in their hands. Twenty multi-color hula hoops, a handful of bandanas and two massive exercise balls were all making their way to field. The hula hoops were used in a tag game. With hula hoop in hand, the taggers set off trying to infect free players with a disease by catching the free players inside the hula hoop. Cones were then added which allowed the free players to avoid the wrath of the hula hoop; these cones represented healthy measures that would reduce your chance of disease. The bandanas were used in a problem solving game. The bandanas were used to simulate blindness, those teammates without a blindfold were tasked with getting their blind teammate to dribble through a set of cones. The enormous exercise balls were used in an adaption of the CAC game ‘Pairs Scrimmage.’ The rules were adapted to include a mix of rugby, American football, soccer and basketball, hilarity ensued. Thinking back to my physical education classes in secondary school I remember itchy gray t-shirts, deflated soccer balls, teenage angst and a teacher that looked like he would have rather been anywhere else. 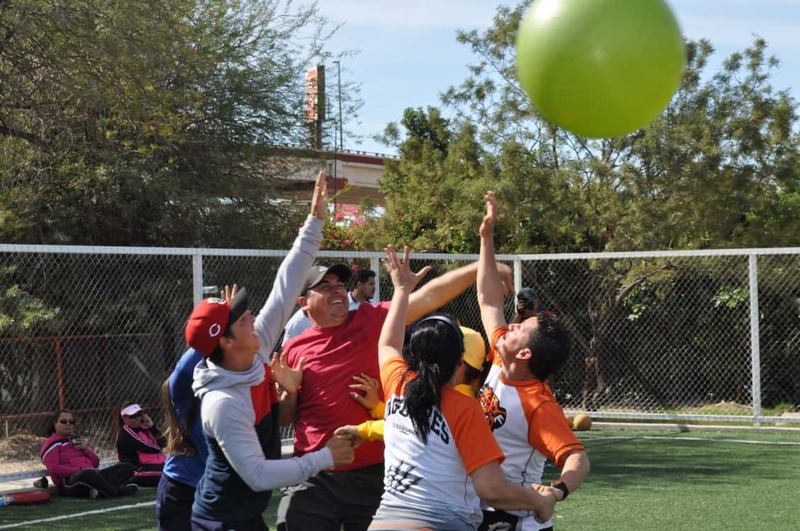 Clearly the students in Hermosillo never have a dull day when they arrive to physical education class, for that they have this creative bunch of teachers to thank.